Buying your first home is a big financial and emotional step and should be approached with a lot of preparation. While there is a persistent belief that millennials (those born between 1981 and 1996) are less likely to purchase a home of their own due to the Great Recession of the 2000s, massive growing student loan debt and limited housing supplies, surprisingly, there’s been an uptick instead in recent years! 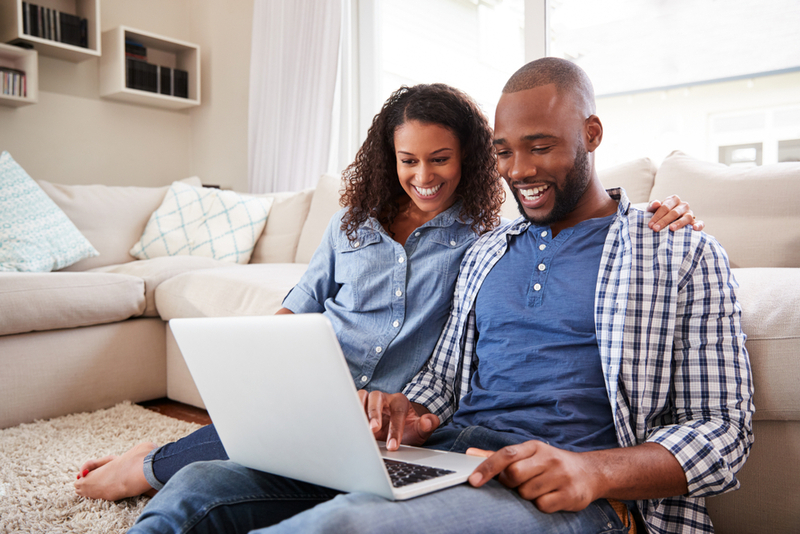 With that in mind, today, we’ve outlined some of our favorite home buying tips for millennials who are interested in embarking on their journey of purchasing their first home! Start your research now: Even if you aren’t ready to purchase just yet, it’s important to start learning more about how the real estate market operates. For example, knowledge of basic concepts & terminology and understanding the process that goes into purchasing are a must. By educating yourself prior to your search, you are giving yourself a better chance at protecting yourself from those who may wish to take advantage of you and closing the deal on your dream home. While you may not have full professional knowledge of the market, you should still know what current real estate trends are by subscribing to magazines or sites that will compile that information for you! The more you know, the more realistic you can be when it comes to taking the next steps in purchasing your new home. Understand what different payments will go into your purchase. For example, you’ll need to consider not only the generally 20% down payment but also maintenance fees/costs, insurance, property taxes, etc. It’s important to start taking a look at what you can afford to purchase by looking not only at the present but also towards the future. Major life events like job security, getting married, having children, etc can largely change your financial situation quickly. Be realistic about where your personal life goals will take you to plan out your finances. Start working on improving your credit score and understanding your debt ratio as those are important figures that will go into getting a mortgage. Make sure that you become knowledgeable in mortgages, grants, and programs that you qualify for. And most importantly, once you’re ready to begin house hunting, make sure to get prequalified and more importantly, pre-approved for a mortgage immediately so that you can quickly secure the home you want once you find it. Determine what you want to buy: Along with figuring out what you can actually afford, you need to start looking into what you want to buy. Similar to figuring out finances, take a look at your personal life goals when choosing what home is right for you. Looking to have kids? Buy a house that will accommodate that in the future by focusing on neighborhood and size of the house. Is this first purchase more of an investment to you? Then perhaps buy a house that will appeal long term to other buyers. Make sure to really self-evaluate and list out features and amenities that you must have or don’t consider as important. Work with a lender: They can help you get an even better idea of your financial viability. Lenders have intimate knowledge of the market and may even be able to help point you out to many down payment assistance programs that you may not know you qualify for, saving you lots more money in the long run. Work with a real estate agent: They are great for getting even better information on the markets you’re interested in, point out bargains in hot markets you may not have found on your own, and can help make the home searching process much easier. At the end of the home search, agents are also beneficial towards negotiations with the seller. Let’s be honest with ourselves, how often are we negotiating a six-figure bill. Do your due diligence: At the end of the day, even with the help of professionals, you should take the time to do your due diligence. Even if you’ve found your dream home, make sure you fully inspect the home for visible and hidden issues and address them immediately. Talk to neighbors or the doorman and consider driving around to get a better idea of the neighborhood and the situation around the home. Most importantly, have fun: While purchasing a home can be stressful, if you’ve followed our tips, you should be well prepared and ready to tackle any issues that come your way! You’re taking a big step towards purchasing your first home. So be proud and enjoy yourself!